Judge and Jersey Australia President Peter Ness has completed the judging of the 2015 Rising Star Award. “It was great to be asked to over judge this competition and the quality of all finalists was impressive – congratulations to all exhibitors in this national class”. 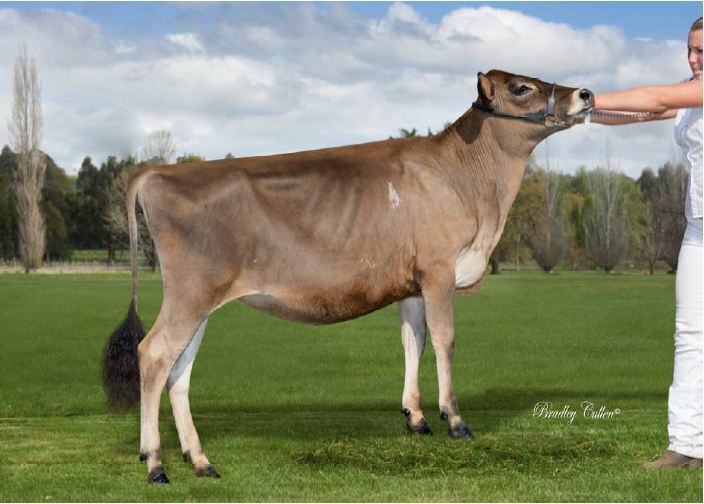 1st Place: Coleshill Leaders Noelene – Owned by Daryl Cole and qualified at Wynyard Show Tasmania. I’ve gone with Noelene in first place due to her impressive angle and openess of rib. Its this well sprung rib that gives her an eye catching appearance of capacity. 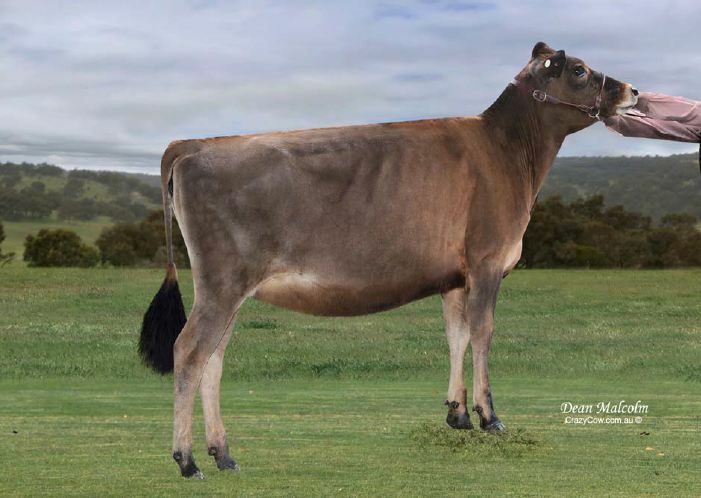 Has an advantage over 3rd due to her length from shoulder to hip, which continues to pin and is evident throughout the body of this stylish heifer. 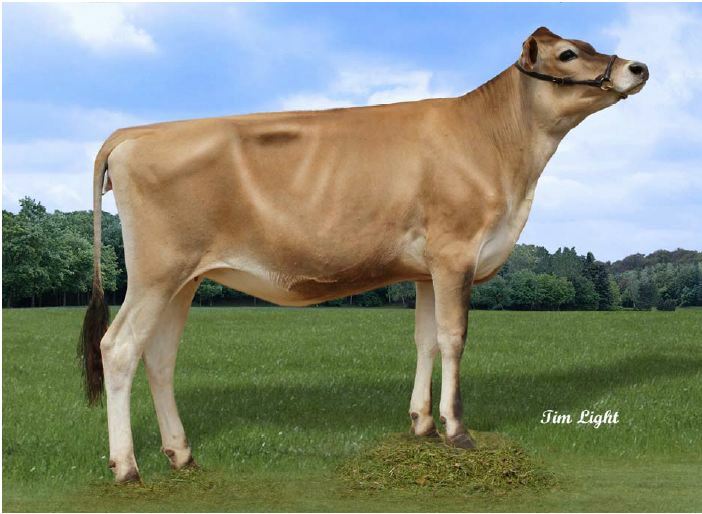 Obviously a quality heifer that was not quite as long as the heifer in second place but a worthy finalist. Are you fascinated by genetics or want to better understand how genetics make a difference to your bottom line? Then this is the opportunity you have been waiting for! As one of 25 herds selected, the ImProving Herds team want to support you to explore how genetics is currently contributing to the profitability of your herd and how new tools can be integrated into your farm management decisions. There is a wealth of experience, science and understanding behind this project and you will have first-hand access to these resources. As you learn more about the value of genetics in your herd, we will be learning more about how farmers can be better supported. We are sure your story will inspire others through two on-farm field days and case studies. We will support you to enter your farm financial data on DairyBase – and confidentially assess the impact that breeding decisions have on your bottom line. ImProving Herds is an innovative and collaborative herd improvement research, development, extension and education project. It is a Gardiner Foundation project lead by the Department of Economic Development, Jobs, Transport and Resource and supported by Dairy Australia, Australian Dairy Herd Improvement Scheme, National Herd Improvement Association and Holstein Australia. Collaborators currently include National Herd Development, HiCo, Dairy Express, Tas Herd, FarmWest, Richard Shepard (Herd Health Pty Ltd), Nicholas Friggens (INRA) and Eileen Wall (SRUC). And…. there are opportunities for your organisation to be involved. The Semex / Jersey Australia Great Northern Challenge will again be run in the last half of November 2015. Major sponsors Semex Australia have a long standing committment to the On Farm Challenge format with General Manager Jim Conroy saying “we are proud to be associated with the On Farm Challenges around Australia and are constantly amazed by the international interest in these major Jersey events”. The Judge for the 2015 Semex/Jersey Australia Great Northern Challenge is now confirmed to be Brendan Nicholson of Jugiong Jerseys, Girgarre Victoria. *Deadline for all Great Northern Challenge Entries is Thursday, 12th November at 4pm – contact Jersey House (03)93709105 for more details.